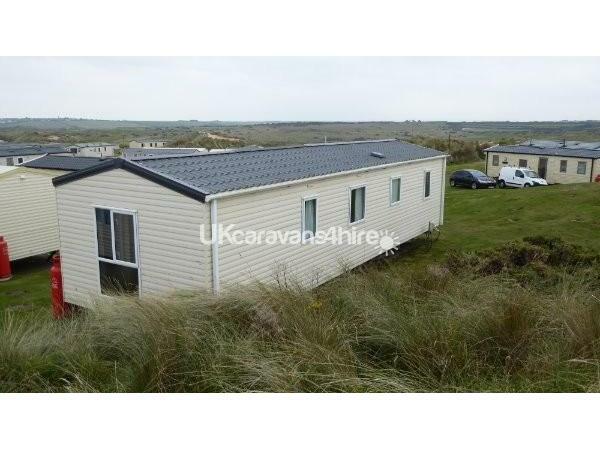 Welcome to our holiday home which is in the well positioned Haven's Perran Sands Holiday Park nestled in the North Cornwall dunes. 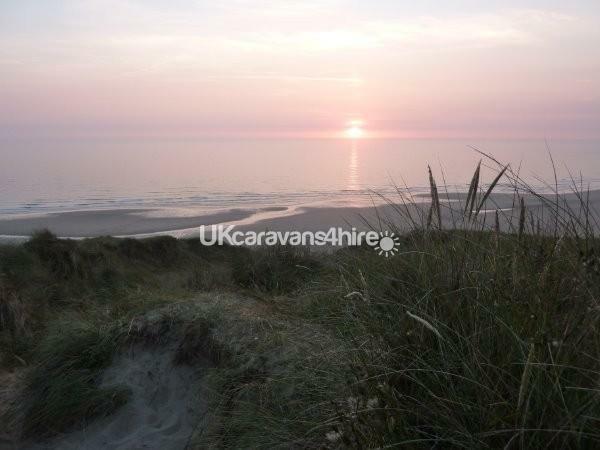 The caravan is situated in the Pentreath View area of Perran Sands and is set well back from the road. 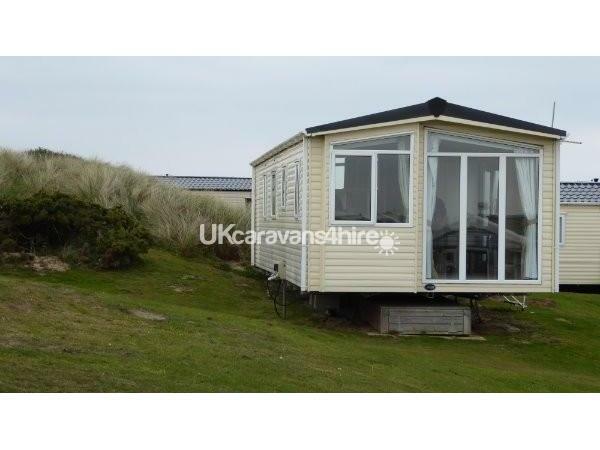 It is within a short walk of the main Holiday Park's amenities (shop, leisure, reception and food) and very close to the beach access. 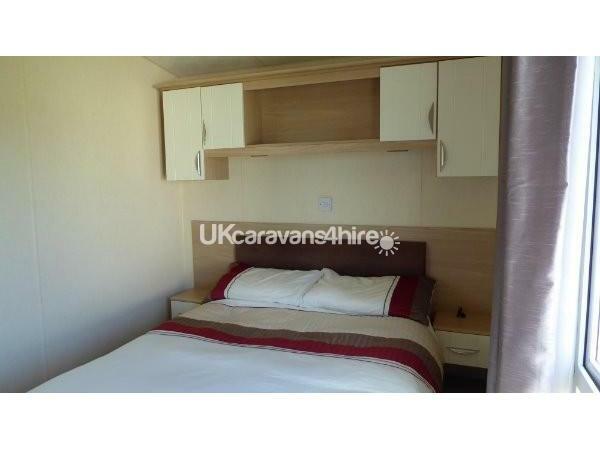 The caravan is an ABI Focus with 3 bedrooms - one large double room (with 4'6" bed) with en-suite and two twin bedrooms (all with air-blow heating and cupboard storage). 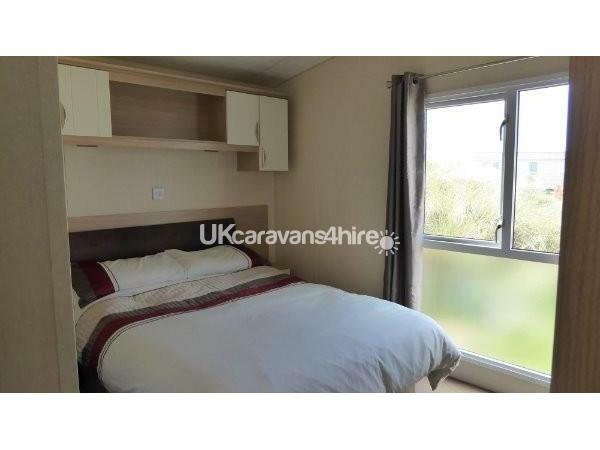 This holiday home kitchen is well equipped with gas cooker, microwave, large fridge-freezer, toaster, kettle, a selection of pots and pans, utensils and crockery. We also provide items suitable for our younger guests. 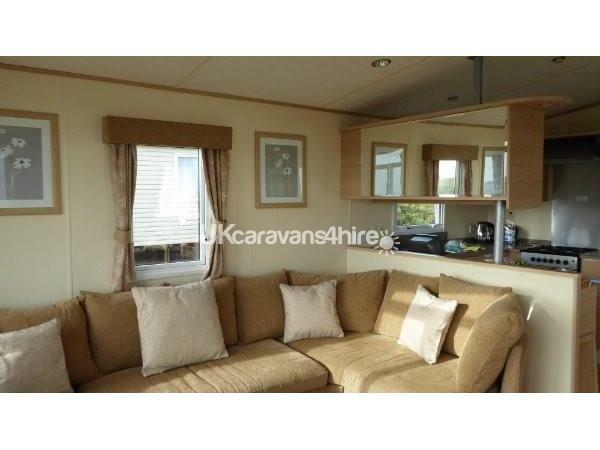 Beyond the dining area, is the lounge which has plenty of seating and TV with built in DVD player and Freeview. We have provided a selection of games and DVDs to suit all ages. The main bathroom has a walk in shower, basin and toilet; a second toilet and basin are located en-suite to the master bedroom. A smoke alarm and carbon monoxide detector are fitted for your safety. Gas, electricity and water services are provided within the price. We provide pillows and duvets for all the rooms. You will need to provide your own linen and towels although it is possible to hire these on site (further details available on request). 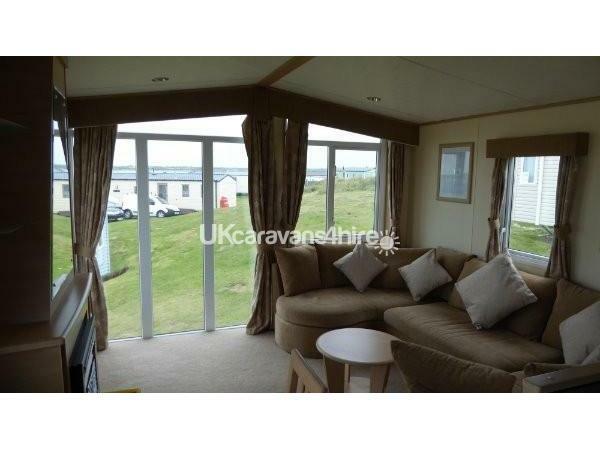 A non-refundable deposit of £80 is available on booking to secure this caravan. Full payment is required 6 weeks prior to arrival and a £100 security deposit (in addition to the booking cost) will be required to cover any damage or loss of keys: this is refundable subject to post-departure checks on the van. 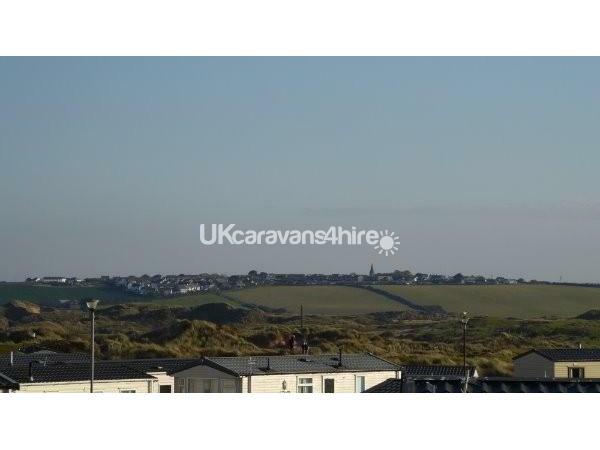 There are a wide range of facilities available on site (leisure, entertainment, food and a shop) while Perranporth boasts an extensive sandy beach with good surfing facilities and a good selection of shops and places to eat. Entertainment and leisure facility passes can be purchased from reception - please ask for further details. The Park is well situated for North Cornwall’s coastal path walks and is within easy reach of a number of other scenic/beach locations including Holywell Bay, St Agnes, Newquay and Truro. 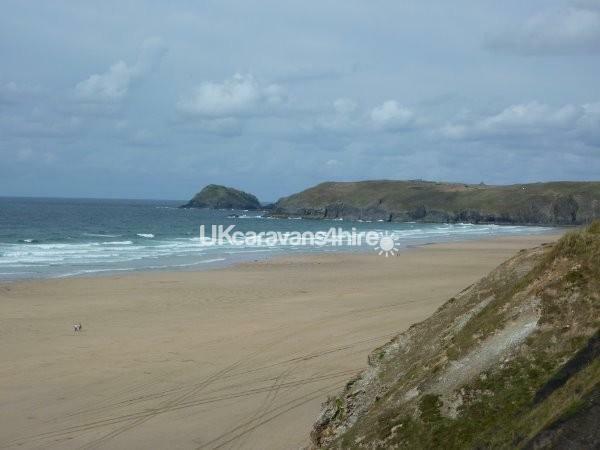 During the summer season, a bus service runs to and from the park to Perranporth, and other main towns (pick up and drop off is by the main camping site).